Standard doors fit most opening sizes. 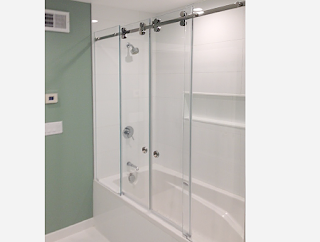 Glass used is tempered for safety and notched and drilled to accommodate hinges and handles in a variety of styles Standard doors fit most opening sizes. 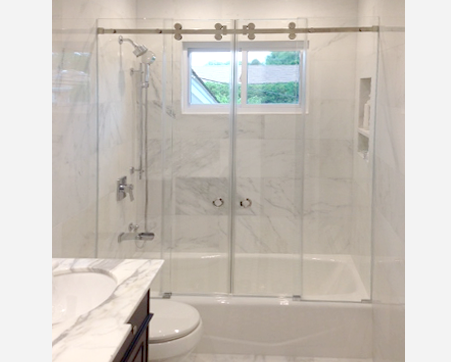 Frameless Doors are custom made to order and fits almost any size. Here at Giovani Glass We specialize in manufacturing and installing,frame and frameless shower doors. 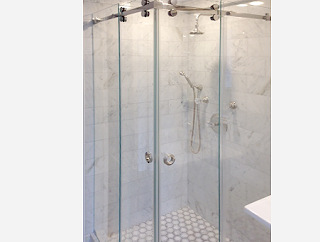 tub enclosures using only the finest quality glass and hard ware available. Our glass is manufactured from the finest quality tempered safety glass with highly polished edges. All hinges, glass clips and handles are solid brass & can be plated to any finish.